Ben came out to my home today and had my unit back up and running within 20 minutes. Extremely professional and a people person. Walked me through my entire home and inspected my whole HVAC. Taught me some great things I had no clue on regarding my homes A/C. Gave me some great recommendations and I will be signing up for the spring and fall inspections to ensure my system stays in great working condition. Thanks again Ben. Garrett R was a complete gentleman and extremely thorough with the explanation of services he completed. He made sure I understood what he did with our unit and answered all questions I had. 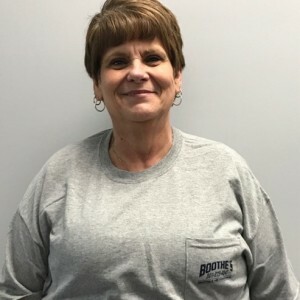 He spoke very highly of the company he was representing which speaks volumes to the value and integrity that Boothe's Heating & Air instils in their employees. Thanks again for the great service! Francis was very professional and thorough with his inspection/servicing. Top notch technician who clearly explained his findings, while making suggested fixes/upgrades. I will definitely be requesting his services in the future. Thank you for the great experience. Francis R. is an outstanding technician. He kept in contact with us on when he was able to make a late night service call. He is extremely knowledgeable, courteous, and efficient. He quickly found the problem with our AC system and was very helpful in identifying the proper options for the right solution. He shows without a doubt why joining Boothe's 'Comfort Club' is an absolute-must for any homeowner. Could not have been a better experience. Highly knowledgeable and professional. Explained everything. Tested everything thoroughly. IN THE PORING RAIN! I have been hearing the ads on the radio for the air conditioning tune-up and I thought let's give them a try. Our house is three years old, so I thought it would be time to get this done. George came out and did an excellent job. We are very happy and will have Boothe's come out again next year. Very impressed with the hard work and dedication. Along with their outstanding professionalism. Thanks to Michael and Chadd!!! Very professional - no nonsense type of individual. Our A/C stopped working last week and was actually blowing out hot air when we turned it on, so we called Boothe's who installed out American Standard heat pump. Francis came out and promptly diagnosed that a wire had come loose, preventing the A/C compressor from operating and actually kept the unit in heating mode. Francis was very friendly and professional and obviously very skilled. I would highly recommend Boothe's Heating/Air & Plumbing to anyone. All my dealings with this company have been very positive and satisfactory. My thermostat locked me out and could not get it unlocked . Called around 9:00 pm, Ben called shortly after I asked for help,even in midst of his dinner. Ben,very helpful gentleman connected me to another colleague(John) that had experience with my thermostat....Let me tell you I have never been as happy as tonight...it got fixed in less than a minute! God bless Ben and John! Boothe's HVAC rock!!! Ben H was very professional and knowledgeable about our AC unit. He was very helpful and fixed the problem fast and efficiently. I would highly recommend him to everyone who needs AC repairs. Ben was on time and very courteous. He took the time to diagnose my upstairs AC unit. He presented a list of options and prices before fixing the the problem. Fixing the problem took very little time was and relatively inexpensive. Glad to see he gave me options and not pushing a whole system replacement as many companies do. Very honest technician and company. Very satisfied. Ben visited my HVAC system today (5/7/18). He was prompt, courteous, helpful and very well informed. I also appreciate that he follows your company's policies, in that he would not quote me prices when I ask, "can this be done, or can this be installed?" Example I asked how much the Air Scrubber would cost, and fully appreciated that he needed to check first. He was respectful of my home and of me, and he was a delight. He represented the Boothe name very well. Thank you so much! I have been looking for a full service HVAC company for years and am very happy to report that I found them - my experience with Boothe's has been outstanding. From the first call to schedule an appointment with Mark, the reminder call (on a Sat I should add) and then the tech work, I have been totally impressed. Damon's work reflected the thorough training he has been given, and he was clear and concise in the time he took to explain any concerns that he found, both during and again with the review. Also, there was no pressure to make optional repairs either. I would highly recommend this company to all and wish that they covered more in their scope of work so my only suggestion would be to ask that they add electrical work to their scope ! !